Last week, the gaming industry received news that Microsoft had been working on a new controller. Unlike all previous controllers, this one was something quite different. No, there wasn’t just a rubber grip on the back of a standard Xbox controller; nor was there a new clicking mechanism in the buttons. Instead, Microsoft have taken the first steps as a big distributor of video game hardware to open the market up. They introduced their Adaptive Controller, which was met with huge fanfare! Finally, a huge console manufacturer has started to cater for those with disabilities – But that isn’t the true limit of this hardwares capabilities. As we all know, Minecraft was a pretty big deal when it first got it’s official release. When version 1.0 came out, it was go time and it was already viral at that point. Filling up shop spaces, making merchandise and Mojang getting some incredible office space in the process, the voxel-based builder game was an internet phenom. It knew no bounds in terms of sales and then at the end of 2014, something happened we did not expect. Mojang was bought by Microsoft – and many people, myself included, were sceptical about the choice. We thought that was the end of Minecraft… And how very wrong we were. No, this week really wasn’t that eventful for us, however the show must go on and we have found out a few interesting tidbits just for you! We’ve got you some interesting tech news and some of us are using the force in our cinematic experiences, so let’s take you back through The Week In Geek. Welcome to our first ever issue of The Week in Geek, where Joel and myself will be looking at some geeky news from the week just passed. Today we just have 2 articles to share with you all but please, do let us know if you like these small snippets and if you’d like anything featured for our next issue of The Week In Geek. This has left a sour taste in my mouth and I’m sure many other Minecraft fans are feeling the same. Let’s talk facts here: Mojang is a company and at the end of the day, they are looking to make money. For this, I do not blame Markus ‘Notch’ Persson as it means he can move onto other things, which as a developer you can assume that’s what he’d want to do! However the question remains: Will Minecraft remain the same experience, or will Microsoft do some stuff to the game that might end up hurting all of the mod creators? What hurts them damages the whole Minecraft experience. Yes, I am admitting that the vanilla game of Minecraft isn’t enough to keep a player hooked for long. It’ll keep you busy, certainly but the mods are what drew so many people back. Don’t forget YouTube videos from people like the Yogscast, who have spent years showing modded Minecraft servers and adventures! Let’s keep our eyes on this one, let’s hope for the best and please Microsoft: Don’t let this be another product you’ve bought out that us Linux boys eventually are unable to use. To further update people to this matter, it was earlier today announced that the acquisition has indeed happened. It’s still too early to see what Microsoft want to do with it, but as I previously mentioned: Mojang is indeed a company. Money is good for them. Minecraft 2 if it comes about, should remain as open as MInecraft. Goblins: Life Through Their Eyes returns on the 17th! 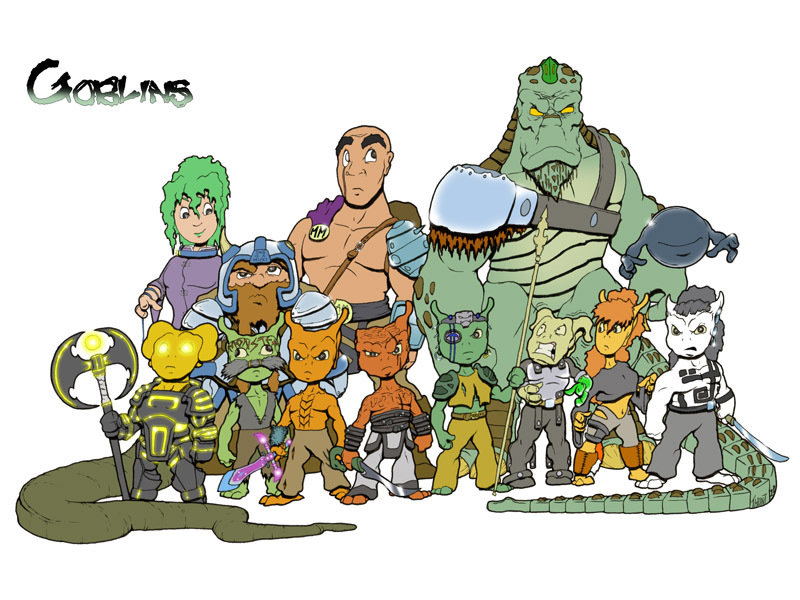 For those of you not aware, Goblins is a comic set in a unique D&D style world, and follows the story of a band of goblins who refuse to accept their lot in life and choose to take character class levels, and their struggle against a world of prejudice and challenges designed for “regular heroes.” It’s an amazing read, and well worth your time. Well, Goblins has had some scheduling problems, mostly because Tarol Hunt – the author – struggled to maintain a regular posting schedule because of how detailed his work is. Frankly, the bulk of his audience were happy to wait on him, but eventually maintaining his own standards caused Tarol to have a nervous breakdown in February, which you can read about in the blog post under the comic on the home page. While you’re there though, take an opportunity to check out the awesome return announcement he made! Also read Goblins. It’s awesome! And that’s it for The Week in Geek for this week! 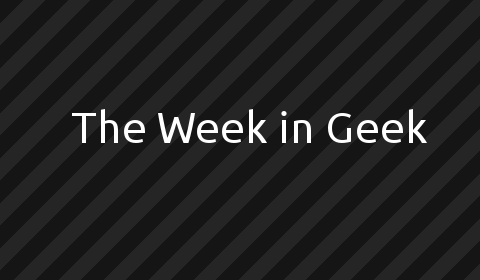 It’s been quite an interesting week, but we’ll start to prepare more week in geek articles throughout the week. As I mentioned, let us know what you think about us doing these small week in geek snippets, as we’re planning to make these regular articles. Until next time, take care. Share with us your thoughts on our two pieces of news. Is the acquisition a good thing, or a bad thing for Mojang’s future? What about the announcement that Goblins is going to be released? Let’s talk about The Week in Geek!